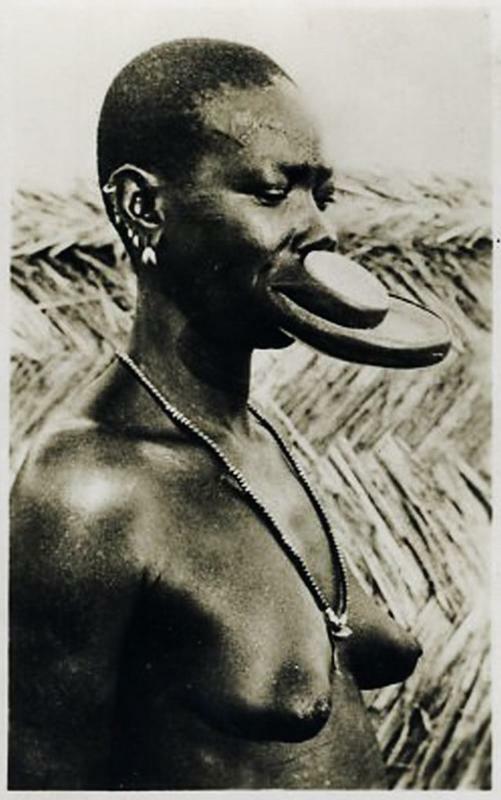 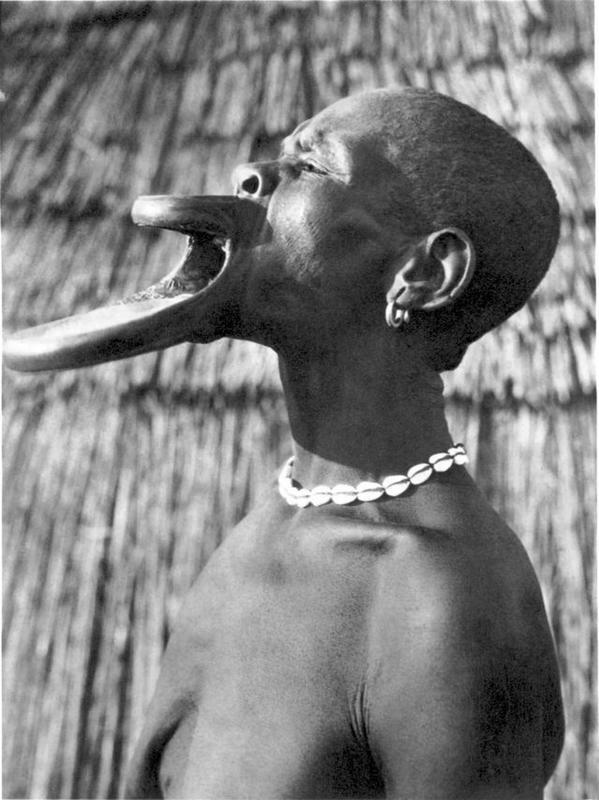 The tribes of Mursi, Chai and Tirma are the last groups in Africa the traditional wearing of wooden lip discs or plates is still the norm for women. 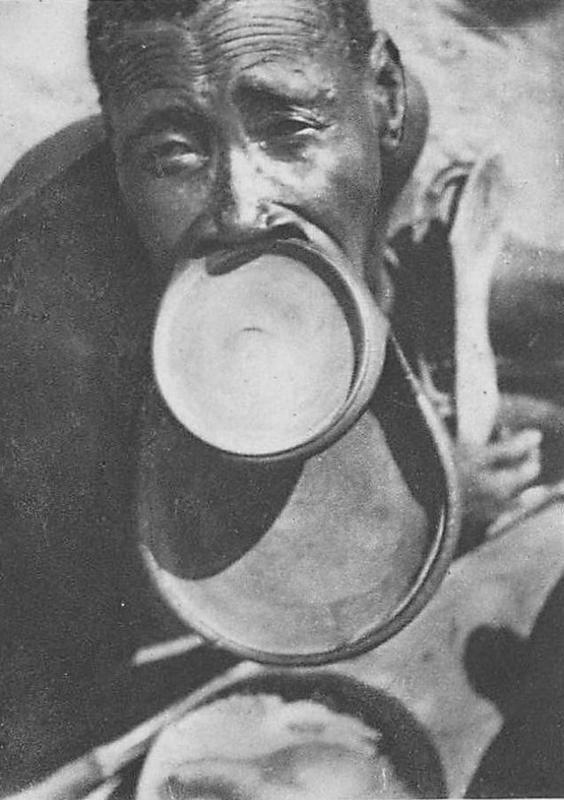 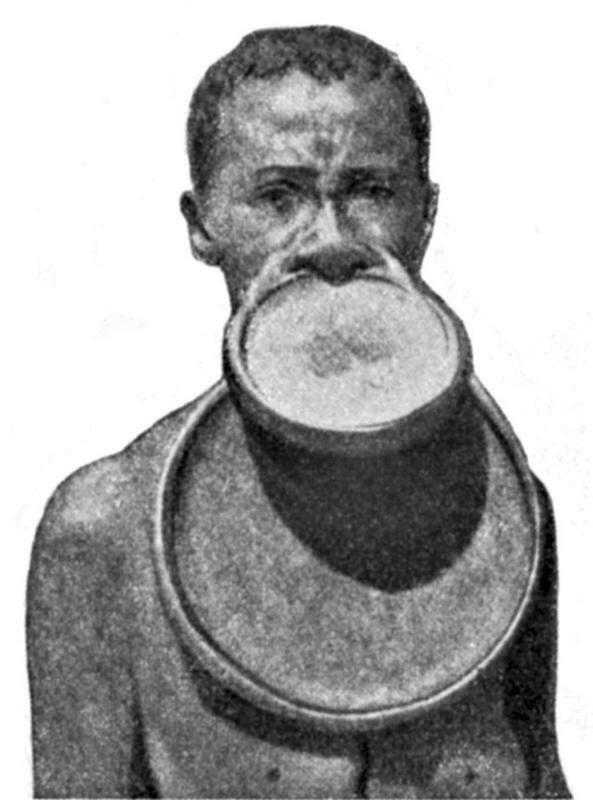 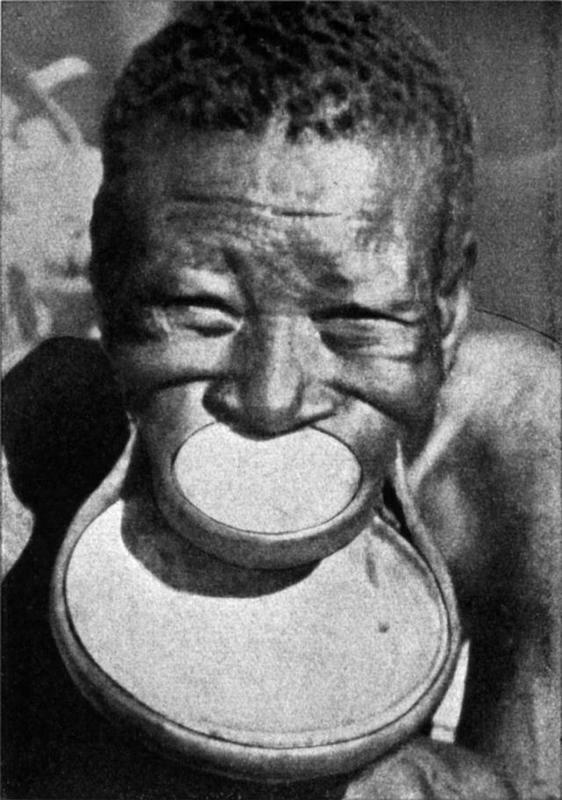 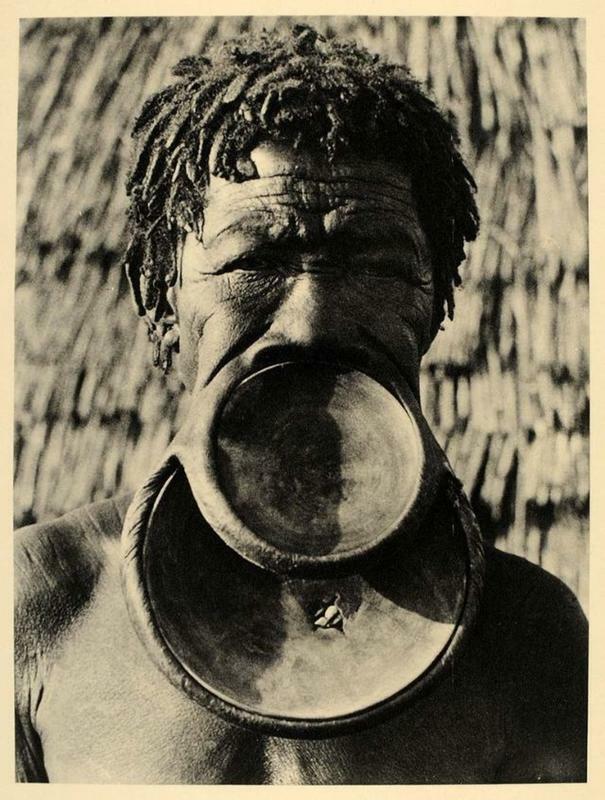 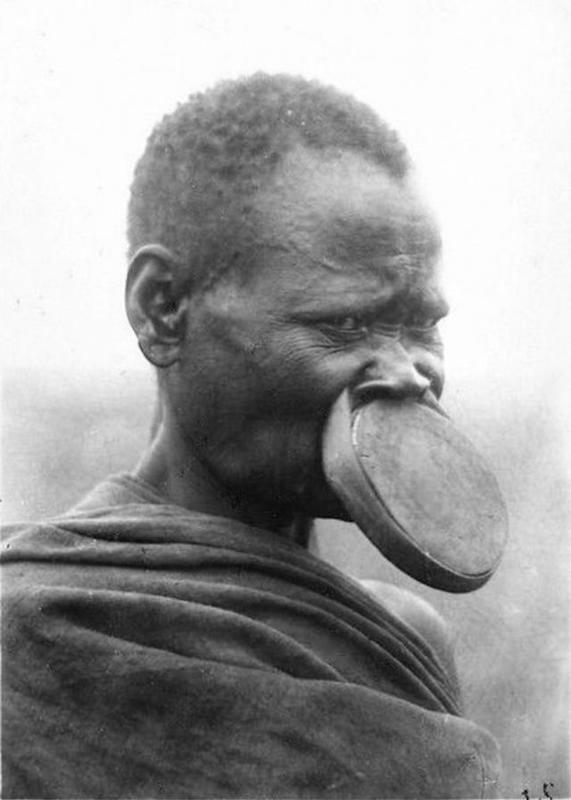 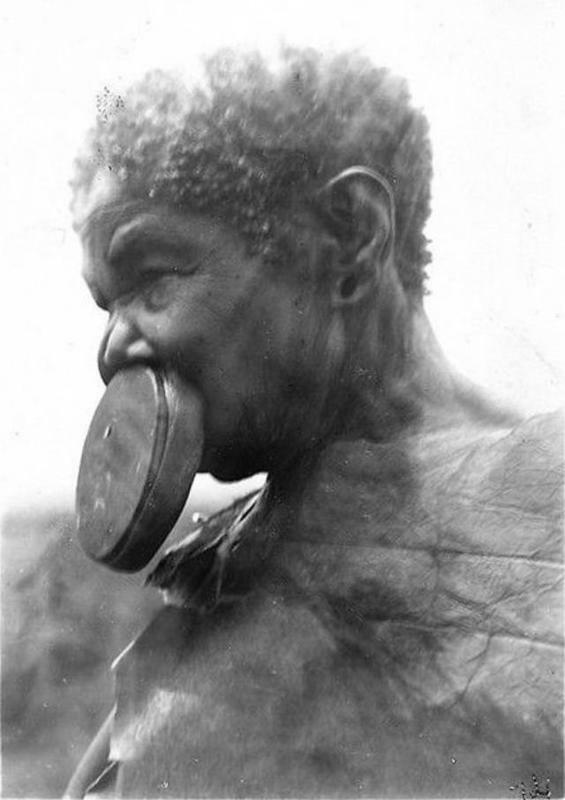 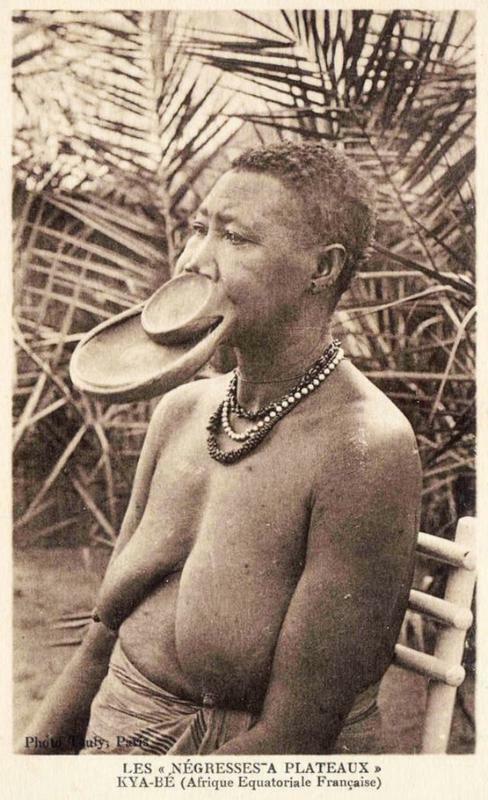 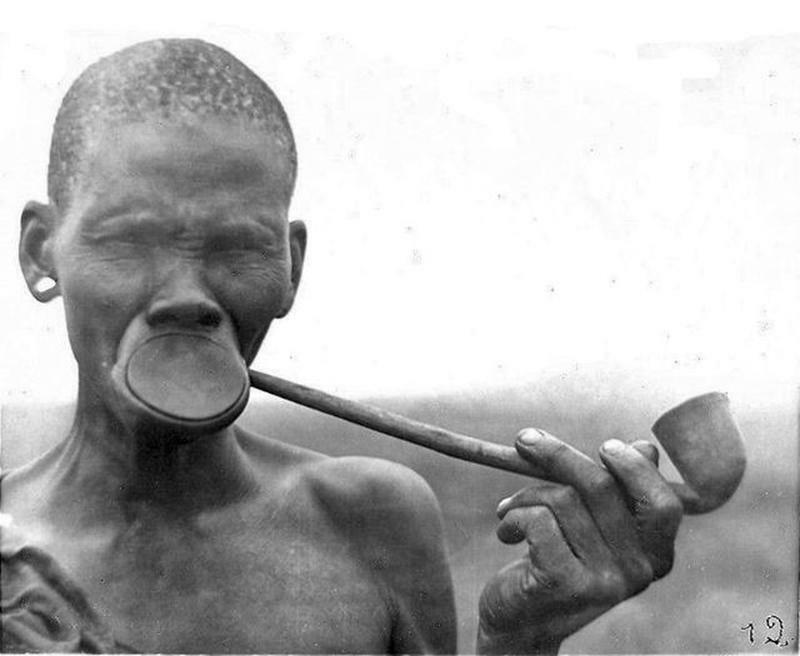 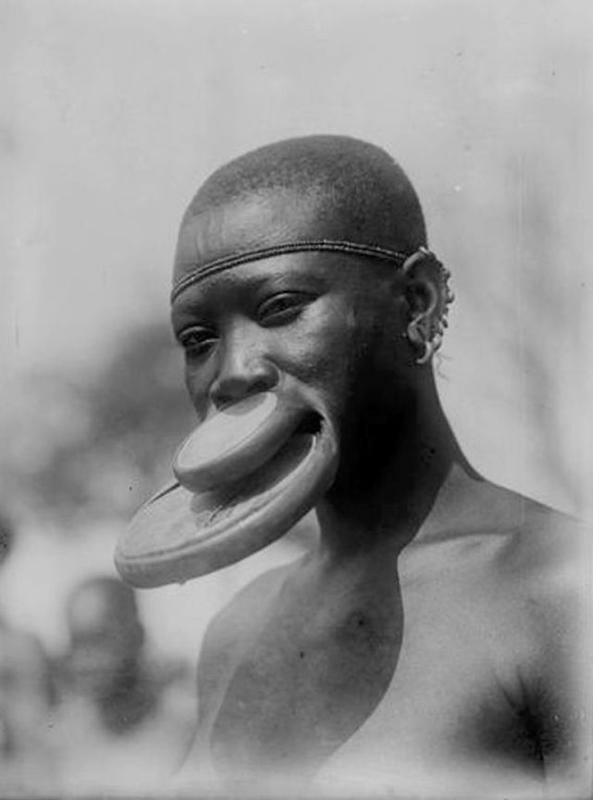 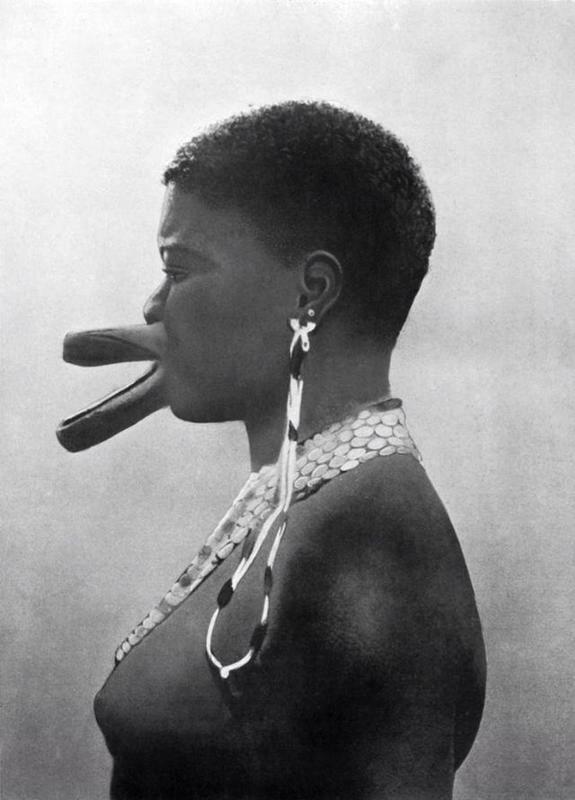 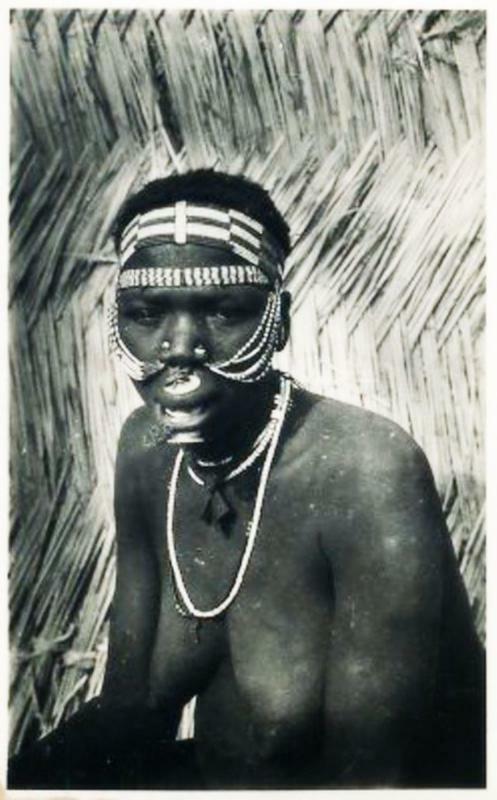 One theory suggests that this custom of lip plating is a deliberate move by tribe leaders to make their women and young girls less attractive to slave traders. 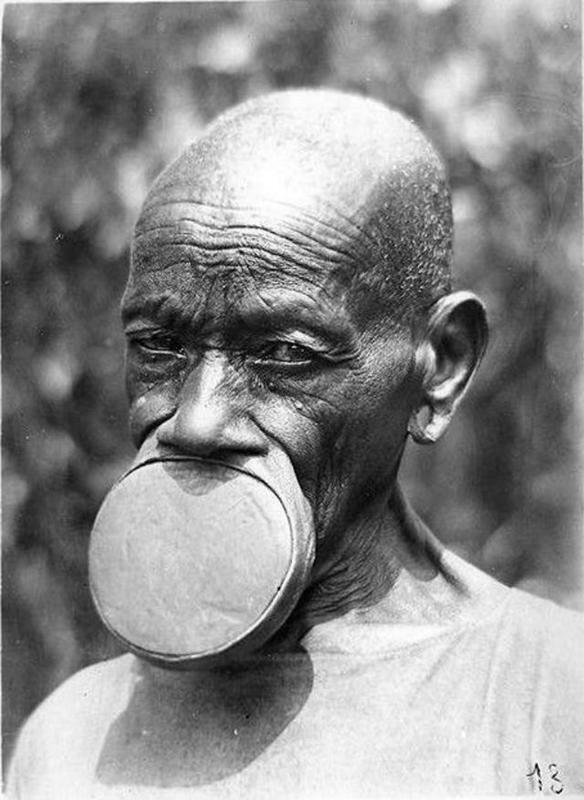 Others claim that lip plating is simply a cultural ornamentation meant to symbolize a woman’s strength and self-esteem. 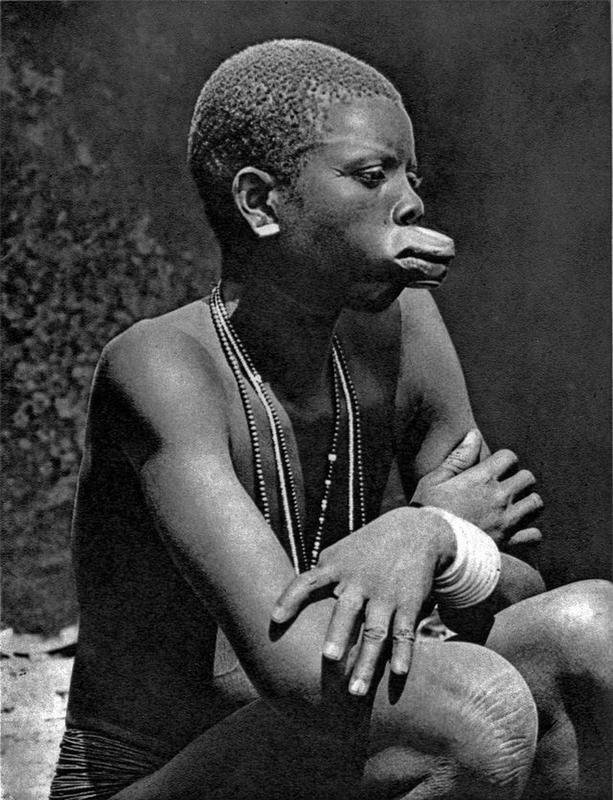 The practice is also said to be a sign of social maturity and an indication that the girl has reached reproductive age and is ready to become a wife. 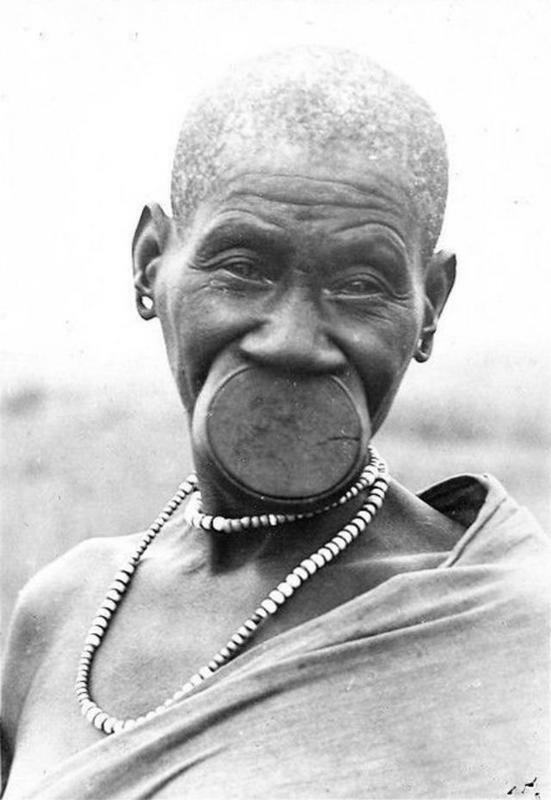 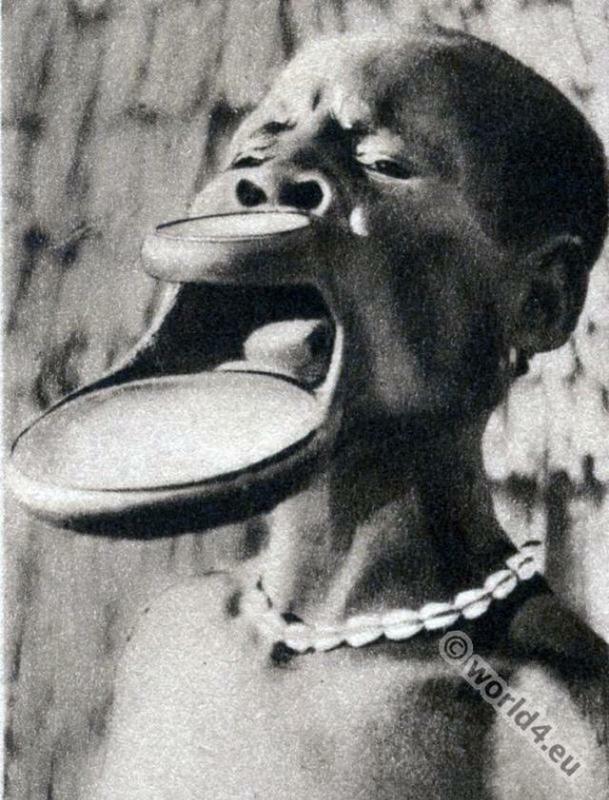 When a girl reaches the age of 15 or 16, her own mother or another woman of her tribe will cut her lower lip and it held open by a wooden plug until the wound heals, which can take around 3 months. 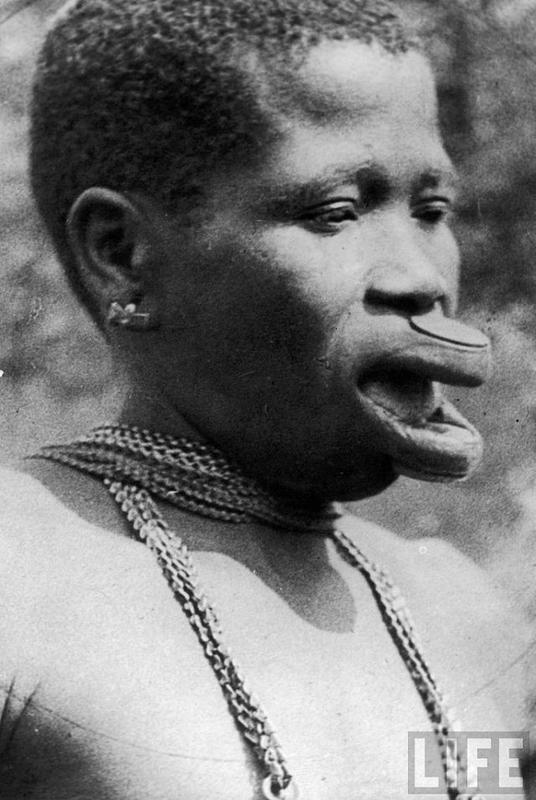 Each girl will decide how far to stretch her lip, by progressively inserting larger plugs over a period of several months.